The a6400 is latest mirrorless APS-C camera from Sony. It brings interesting improvements to the autofocus system and is positioned at a competitive price in the mid-range segment. 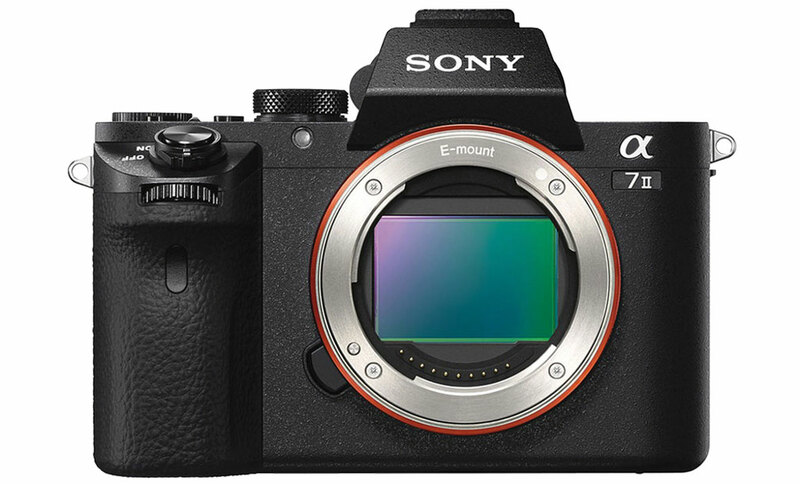 The A7 II was released in late 2014 and has become an affordable option within the A7 full-frame series. In addition to its 24MP sensor, it also sports a number of appealing features such as a good hybrid AF system and 5-axis stabilisation. In this comparison preview, we’ll guide you through the ten main differences between these two cameras. Ethics statement: the following is based on information found on the Sony website and our direct experience with the A7 II. Within the article, there are affiliate links. If you buy something after clicking one of these links, we will receive a small commission. To know more about our ethics, you can visit our full disclosure page. Thank you! 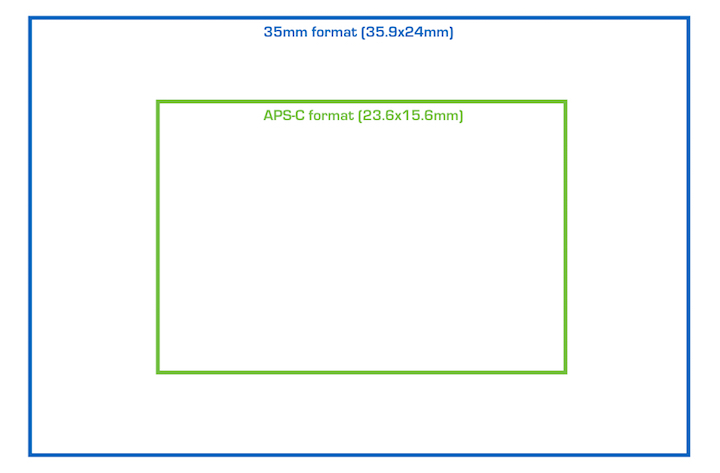 The a6400 uses an APS-C sensor with 24.2MP, whereas the A7 II has a 35mm format sensor (commonly referred to as full-frame) that is larger as you can see from the graphic below. The resolution is basically the same at 24.3 megapixels. 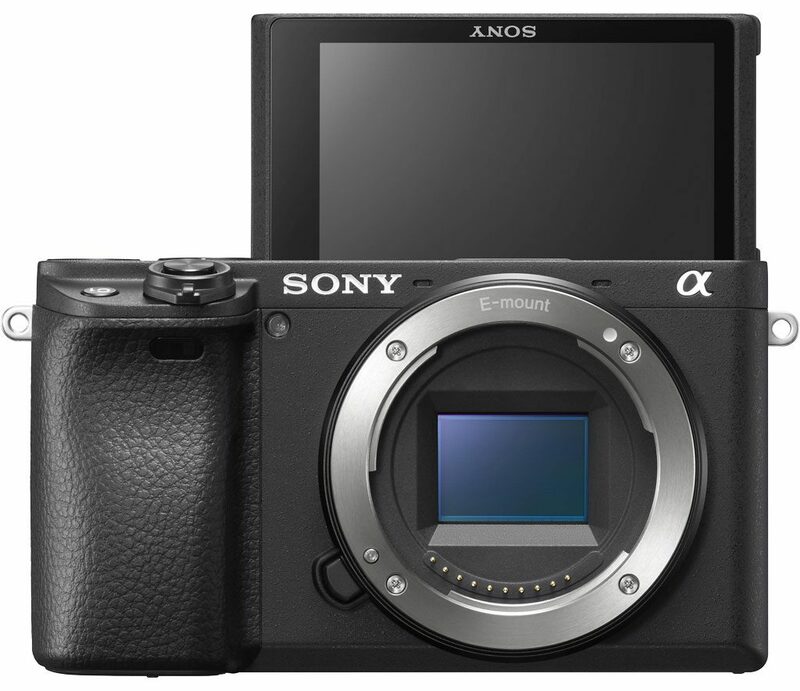 The a6400 features the latest Bionz X image processor whereas the A7 II, being 4 years older than the APS-C model, has a more dated imaging engine. The ISO sensitivity range is also different. The APS-C model’s normal range goes from ISO 100 to ISO 32000 and levels can be expanded up to 102400. The A7 II goes from 100 to 25600 with just one pull value (ISO 50). Finally, the A7 II has two RAW file options: compressed and uncompressed (firmware 2.0 or later required). The a6400 doesn’t offer the same possibility. Both products have an output of 14-bit. The a6400 is the third APS-C mirrorless camera from Sony to have 4K video capabilities. The maximum frame rate is 30fps and the maximum bitrate is 100Mbps (XAVC S codec). 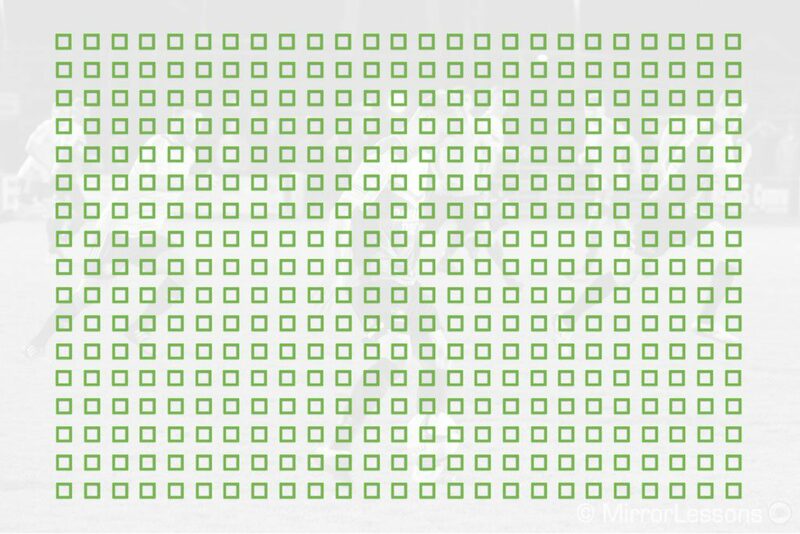 4K is recorded with full pixel readout and no pixel binning using the entire width of the sensor. Below you can watch an official video from the Sony channel to get an idea of the quality as well as the autofocus performance. In Full HD the a6400 can record up to 120fps in normal mode (with sound) or via the Quick&Slow mode where slow motion is conformed in camera (no sound). The A7 II lacks 4K resolution and can record video in 1080p up to 60fps and 50Mbps (XAVC S codec). You can see an example of the quality you can get by watching the clip below. The a6400 has a few extra options when it comes to picture quality. In addition to the S-Log2 gamma which is also available on the A7 II, there are S-Log3 and HLG (Hybrid Log Gamma, aka HDR) profiles. The APS-C model has a 3.5mm microphone input but no headphone connection unlike the A7 II. 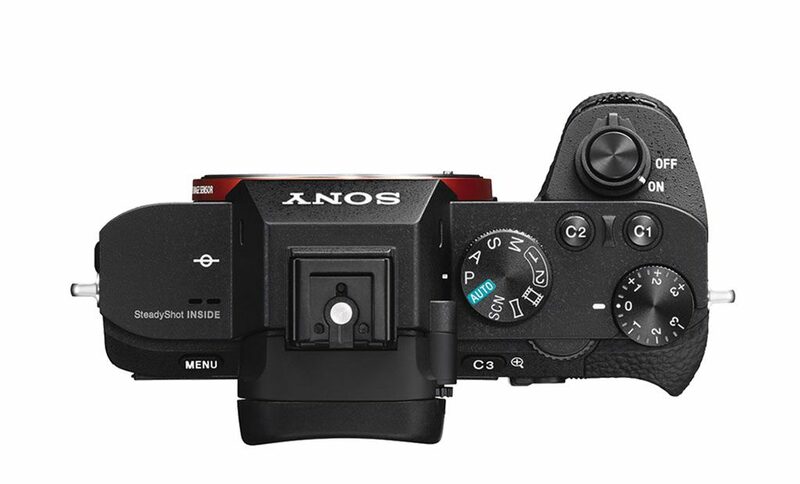 The a6400 doesn’t feature in-body stabilisation (so far the only Sony APS-C camera to feature this hardware update is the a6500). You can use lenses with optical stabilisation, or third-party supports including gimbals for smooth video recording. The A7 II was the first Sony camera to include 5-axis stabilisation. It has a rating of 4.5Ev (CIPA standard) and in our tests it proved usable down to half a second. I even managed a couple of shots at 1 second, which at the time was quite surprising. However I have to say that the IBIS of Sony cameras hasn’t improved all that much since then, and I often fail to replicate the same results I got with the A7 II. The mechanism works with all lenses (including OSS types). 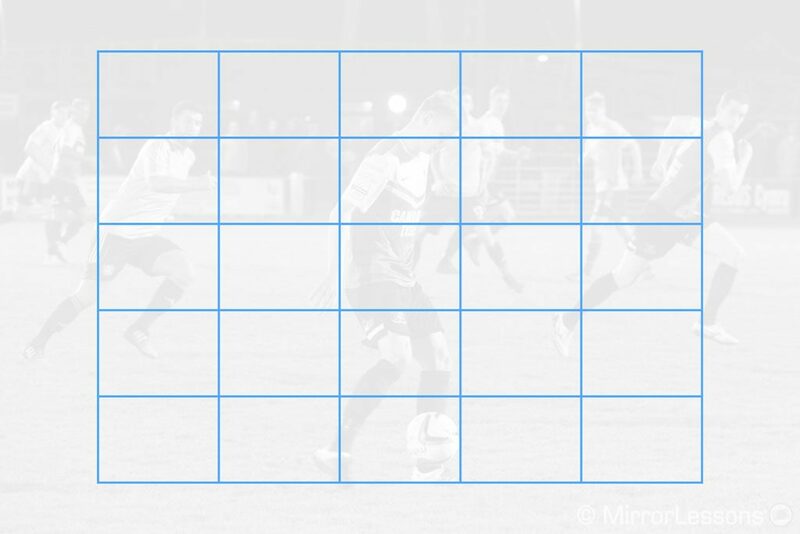 With lenses that lack electronic contacts (old manual focus lenses), three axes can be used. The a6400 uses 425 phase and 425 contrast detection points that cover a large area of the sensor (approximately 84%). It has the latest algorithm developed by Sony that improves tracking – or in other words, the camera’s ability to analyse colours, brightness, patterns, distance, and facial and eye information. EyeAF has also been enhanced and activates automatically in continuous AF. You can prioritise the left or right eye as well. The company also claims that the a6400 has the world’s fastest locking speed of 0.02s. 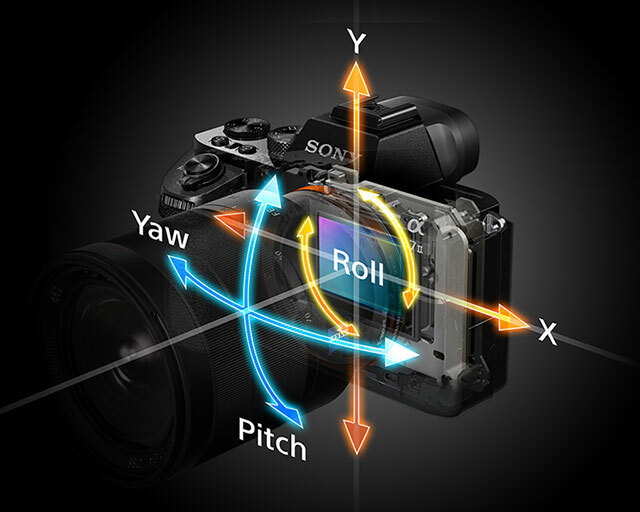 The A7 II autofocus system has 117 phase and 25 contrast detection points. 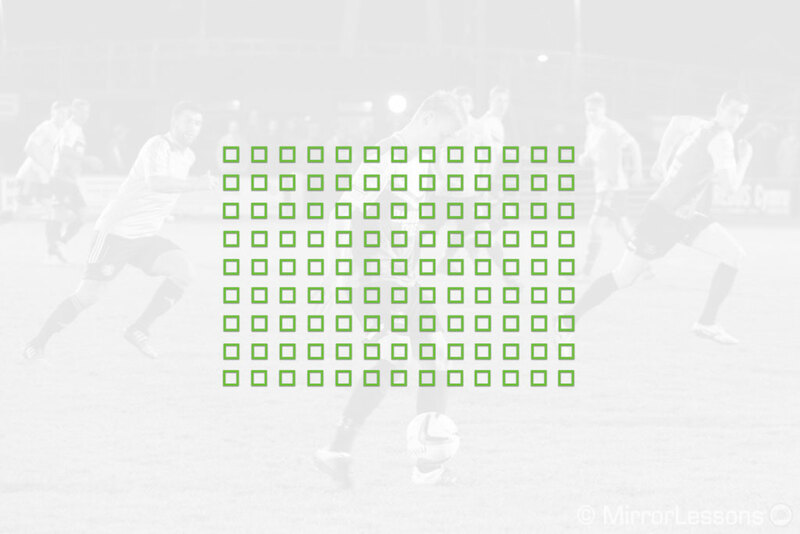 The former are grouped at the centre of the sensor and therefore cover a much smaller area than the a6400. 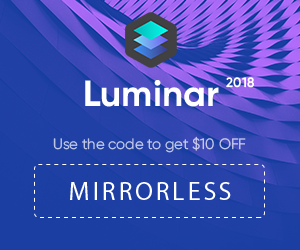 It lacks some features such as High Density AF and AF with focus magnification. The performance is good overall but there is certainly a gap between its capabilities and the latest improvements Sony has brought to its most recent cameras. Another thing worth mentioning is that the APS-C model will receive EyeAF for Animals via a firmware update later on. 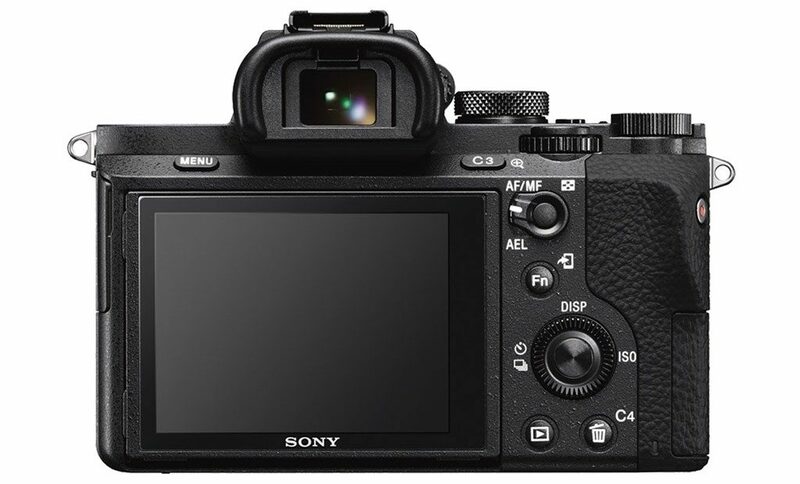 The same update is planned for high-end full-frame cameras such as the A9 and A7R III, so despite its mid-range label, the a6400 will inherit some of the same advanced technology as the more expensive models. The a6400 can shoot up to 11fps in burst mode while maintaining AF and AE tracking. 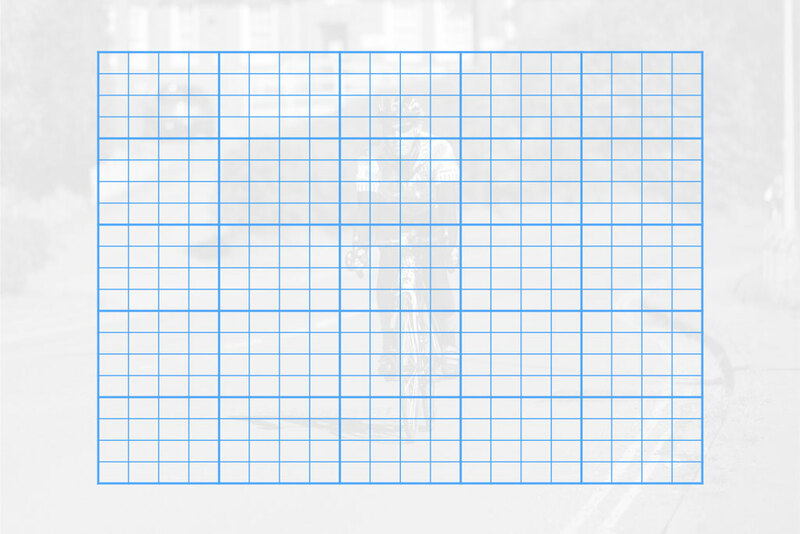 Up to 8fps, live view with blackouts is preserved. The A7 II is much slower, only managing a maximum of 5fps in Single and Continuous AF. The buffer depth is also better on the APS-C camera (99 JPGs or 46 RAW files). The A7 II can record approximately 50 JPGs or 20 RAW images. The a6400 features an electronic shutter option that allows you to take a picture without the noise of the mechanical curtains. Burst shooting with C-AF is available up to 8fps. Because the A7 II uses an older sensor and processor, the silent shutter mode is not available. There is however an electronic first curtain option (which is available on the a6400 too). 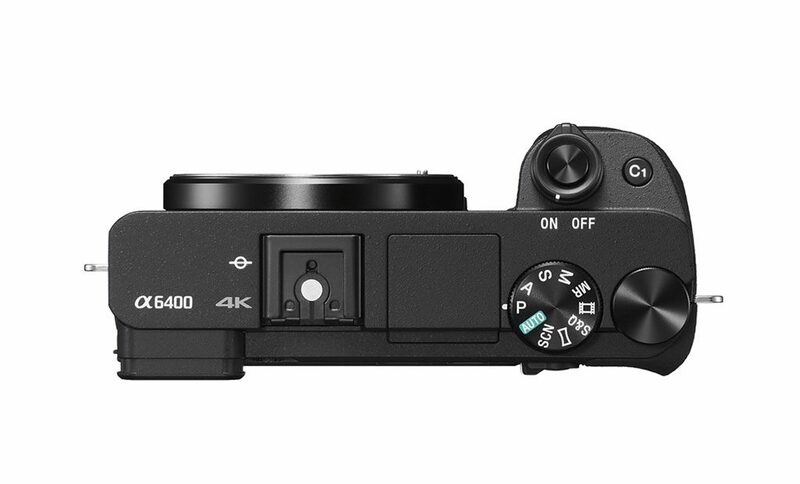 The a6400 has its electronic viewfinder located on the left, which allows the camera to have a flat-topped design. The A7 II’s viewfinder is at the centre and protrudes from the body. The a6400 EVF is smaller (0.39 vs 0.5-inches) and has a slightly lower magnification of 0.7x vs 0.71x on the full-frame camera. The resolution is the same for both panels (2,359k dots) but the a6400 gives you the option of selecting a higher frame rate (100 or 120fps depending on if you are in PAL or NTSC mode). The A7 II has a longer eye point (27mm vs 23mm). The two products come with a 3-inch LCD. The one on the A7 II has more resolution (1,228k dots vs 922k dots) but the a6400 version offers more features. The screen can be tilted up 180º if you enjoy taking selfie shots or v-logging. Then we have touch sensitivity, which allows you to move the autofocus point, start tracking a subject or perform smooth focus transitions in video mode. You can also use the screen to move the AF point while composing with the EVF (AF Pad). 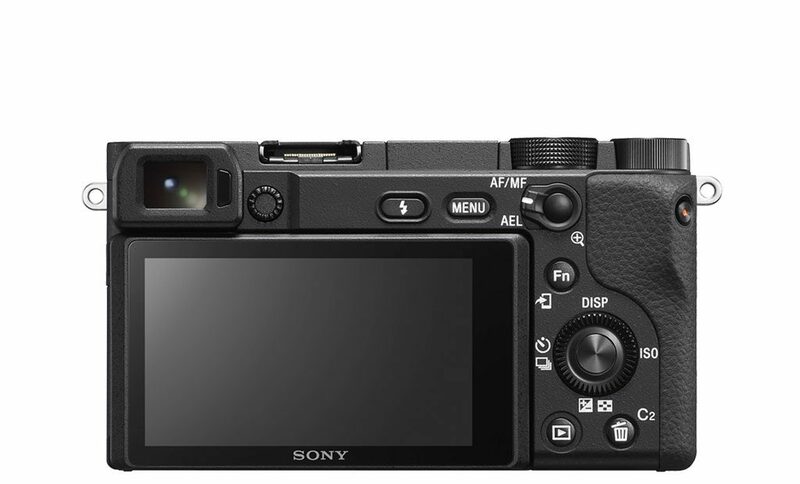 The a6400 is the more compact model of of the two. It is lighter and smaller, especially concerning the height since the EVF doesn’t protrude from the body. Both cameras have a magnesium alloy chassis and are resistant to dust and moisture. They have a built-in grip on the front but the one of the A7 II is a larger. *Note: weight data includes battery and memory card. The A7 II has a few extra controls: you’ll find one additional custom button on top, an exposure compensation dial, and an additional exposure dial on the front. 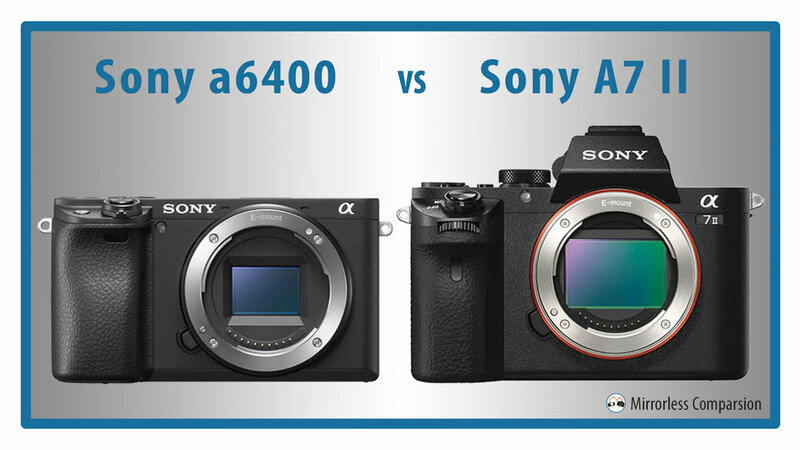 The a6400 features a built-in flash, whereas the A7 II doesn’t and no unit is supplied with the camera either. 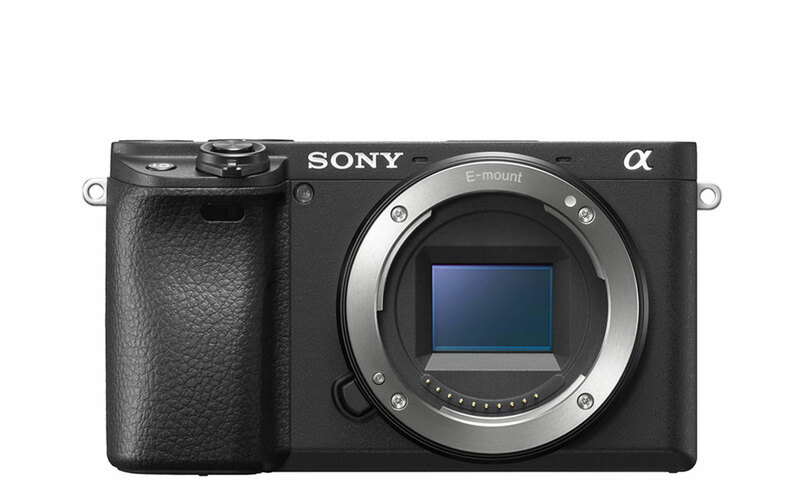 The a6400 was launched with a body-only price of $900 / £950 / €1050. The A7 II is four years old now and can be found for a very attractive price for a full-frame camera (around $1400 / £1200 / €1150). Note that the cost can be even lower with special promotions or cash-back offers. If we forget about sensor size for a moment, the a6400 easily becomes the most interesting option. It has a more advanced autofocus system and faster shooting speeds, can record high quality 4K video, and benefits from many of the latest improvements Sony has implemented on its most recent products. It is also the smaller and lighter of the two. The A7 II is a tad more expensive but not by a lot (and occasional special offers can bring its price close to the APS-C camera). It doesn’t pack the latest technology and its 35mm format sensor is starting to show its age but it is still capable of delivering excellent quality. Finally, the merits of in-body stabilisation with non-stabilised lenses certainly doesn’t need repeating. If you need to shoot sports, wildlife, or want good video capabilities, the a6400 is the most logical choice. For all other purposes, the A7 II is still a relevant camera for enthusiasts photographers.